12 August 1945. Hard bargaining continues between Chinese and Soviet negotiators in Moscow; U.S. ambassador Averell Harriman asserts that any treaties to be signed between China and the Soviets must be consistent with the Yalta Agreement. 12 August 1945. While drafting General Order No. 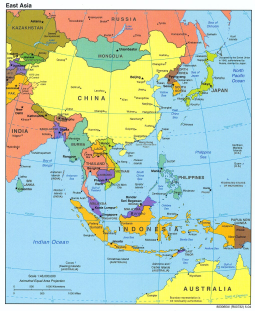 1, U.S. officials propose the 38th Parallel as the line to divide future U.S. and Soviet occupation zones in Korea. The Soviets agree. Their attempt to obtain a corresponding northern occupation zone for Japan on the island of Hokkaido is rejected by Washington. 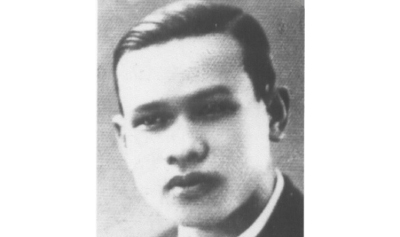 Le Khang, a VNQDD leader (Vietnam Nationalist Party) who made frequent trips to Chungking to present the Nationalist Front (of non communist parties) case both formally and informally to the array of political actors there. 12 August 1945. After Dai Viet demonstrations in Hanoi the day before, other nationalists rally in the city in support of the royal government and call for unity among the people. Although next day another Dai Viet demonstration calls on the people to ‘consolidate Vietnam’s independence’, a new meeting of Dai Viet cadres held on the 16th again fails to agree on concrete steps to thwart a Viet Minh takeover. By now, some Dai Viet troops have left their nearby rural redoubt and begun marching on Hanoi. Delayed by flooding, they reach the city only on the 17th and even then fail to receive orders to seize power. 12 August 1945. With Soviet–MPR forces advancing more than 100 km a day, the Kwantung Army’s strategy of defence in depth is in tatters. Only at Hailar is the resistance holding. Meanwhile, thousands of Japanese settlers – mainly women, children and the elderly – attempt to flee to safety but many are engulfed in the fighting or attacked by vengeful locals. Others choose mass suicide. 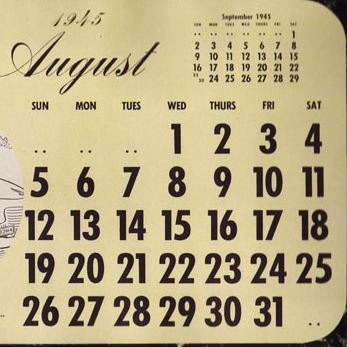 12 August 1945. Following a two-day meeting with Burmese National Army district commanders, Burmese nationalist leader Aung San stops the agreed process of integrating BNA troops (now renamed Patriotic Burmese Forces) into the regular Burma Army and demands renegotiations. Frustration has been mounting over the treatment of PBF troops by British soldiers and officers of the Civil Affairs Service for Burma, CAS(B). Also notable has been the hostility shown towards Aung San by exiled British Governor Reginald Dorman-Smith and General William Slim, commander of the Allied campaign in Burma, their animosity alleviated by the personal support of the Supreme Allied Commander South East Asia Command (SEAC), Admiral Lord Louis Mountbatten.